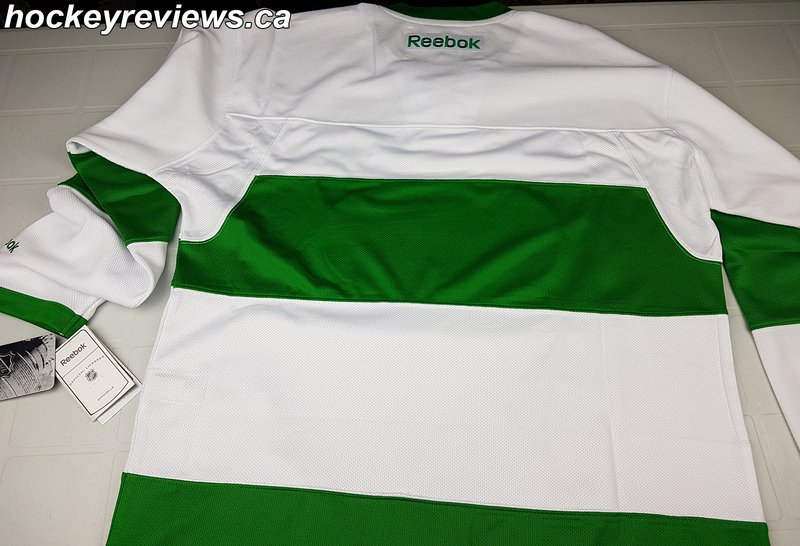 This post is about the 2017 Toronto St.Pats jersey that the Maple Leafs wore on Saturday March 17 on Hockey Night in Canada against the Chicago Blackhawks. 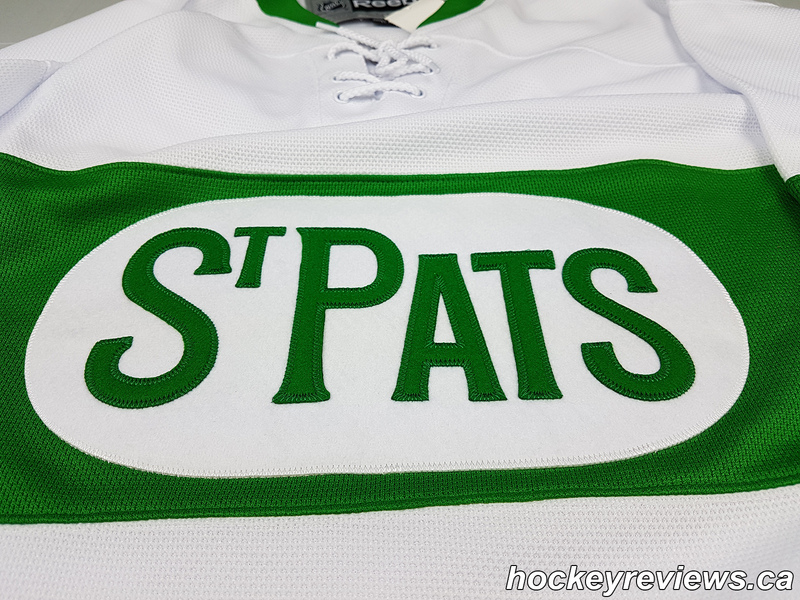 Since the St.Pats jersey is white, the Blackhawks had to bring their home reds to Toronto for this unique jersey night. 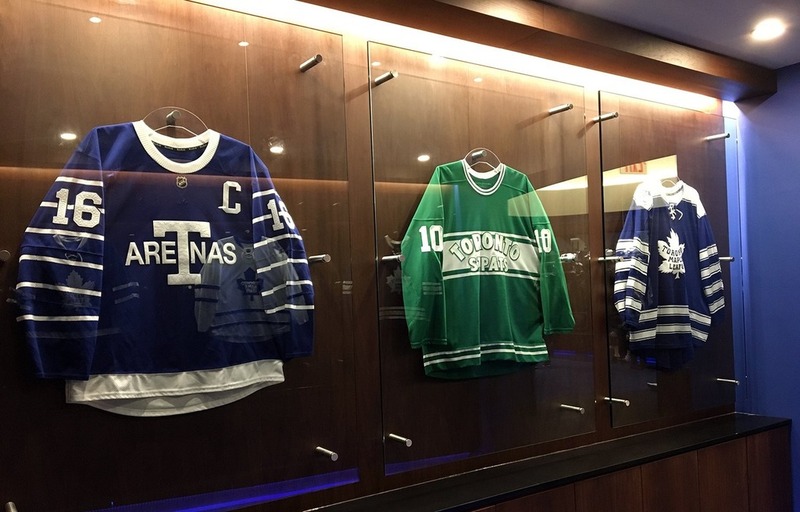 Since I’ve done a post on the other jerseys that the Toronto Maple Leafs have worn for the 2016/17 season I figured I should complete the set and acquire a Toronto St.Pats jersey to do a complete overview of the jerseys that the Maple Leafs are wearing for their 100 year Centennial celebration. It also didn’t hurt that I believe this is a gorgeous jersey, the designers did a great job and I actually like the unique number style that was used as well. 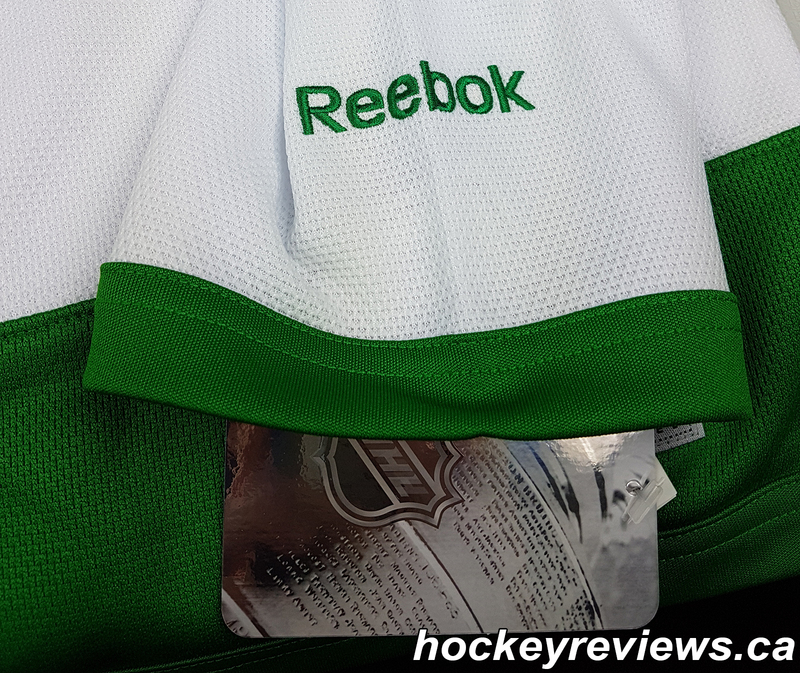 It seems for the 2016/17 season (and the World Cup of Hockey for that matter) the replica Premier jerseys made by Reebok (and Adidas for the WCH) have increased in quality slightly. 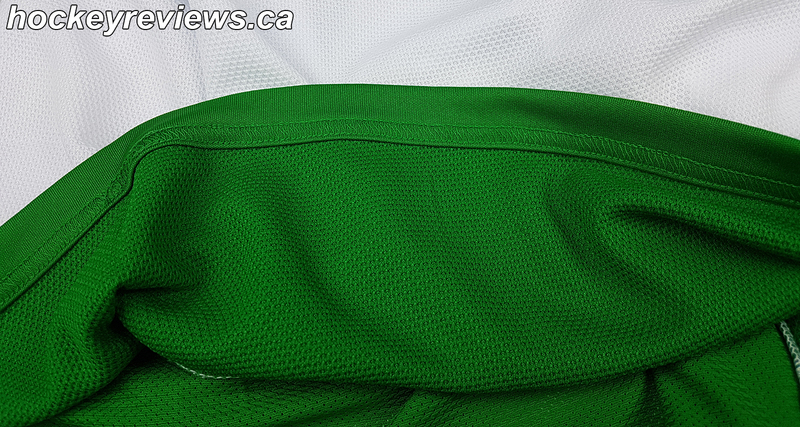 The replica jerseys for this year have sewn on primary crests and this Toronto St.Pats jersey is no different. The home and away jerseys worn by the Maple Leafs for this 2016/17 season originally intrigued me because of the unique bottom hem of the jersey, where the Leafs’ jersey is a single piece without a split on the side and is a unique feature among the NHL’s Premier jerseys. 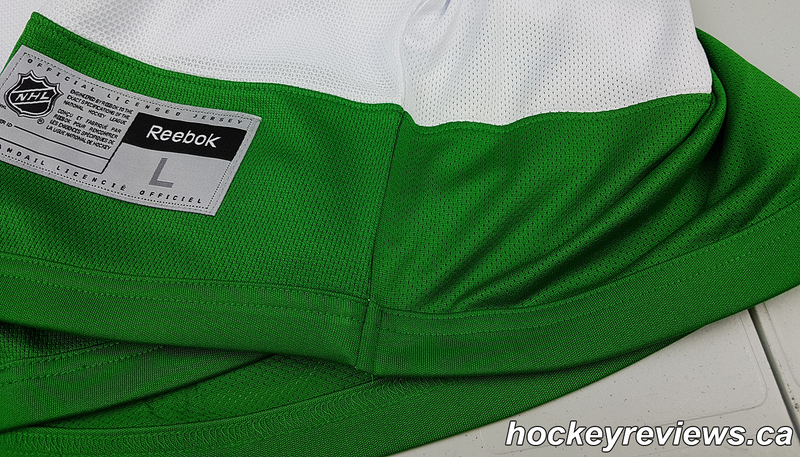 This St.Pats jersey features a single hem along the bottom just like the team’s home and away counterparts. 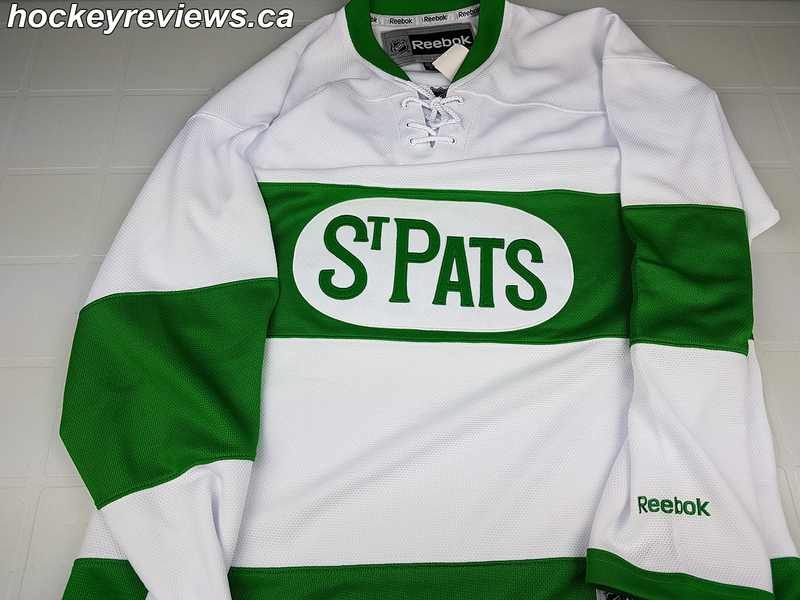 Unfortunately this St.Pats jersey does not have any inner collar text, which is disappointing to me since the other Leafs’ jersey feature “Honour. Pride. Courage.” on the inside of all of their jerseys and is a nice added unique detail. At the very least they could have put the date the jersey was to be worn like Winter Classic jerseys have in the past. Compared to the home jersey below. 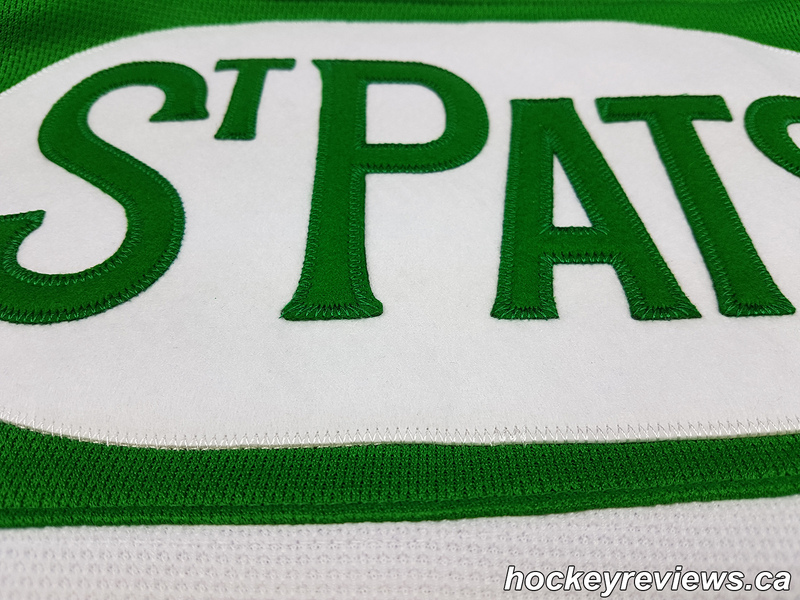 Stitched felt logo with stitched felt letters making up the “St.Pats” for the crest. No inner collar text, missing the shared “Honour. Pride. Courage.” that was seen on the home, away, and Centennial Classic jerseys. Some more detailed pictures can be seen below. The back of the jersey still has the famous duck tail. The duck tail from the front. 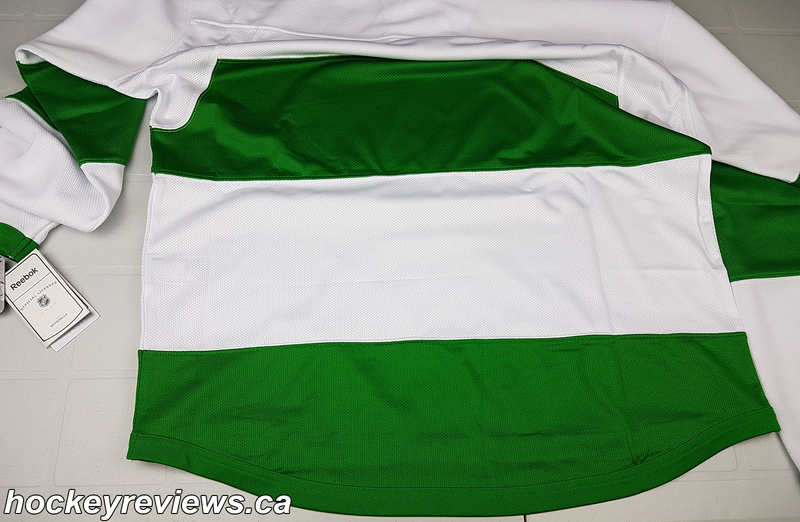 While the bottom green stripe feels like it is made of a smoother material than the white material on the front, it is actually the same material but inside out. 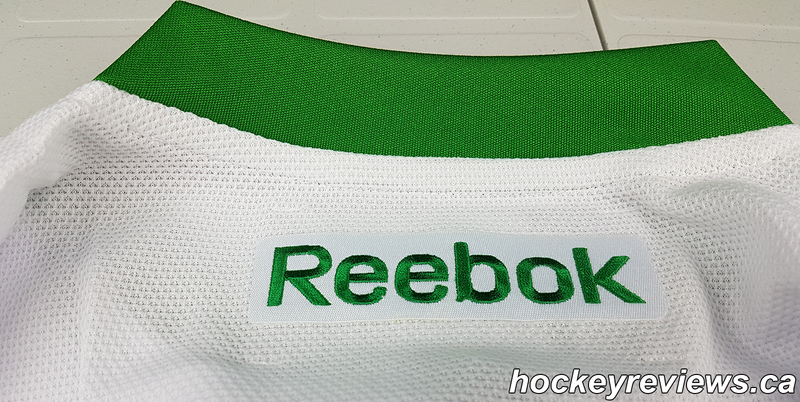 Closer look at the green stripe. 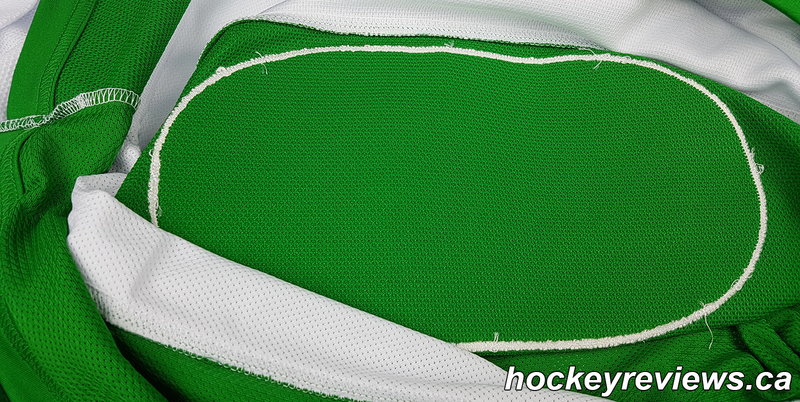 Stitching on the inside for the crest. 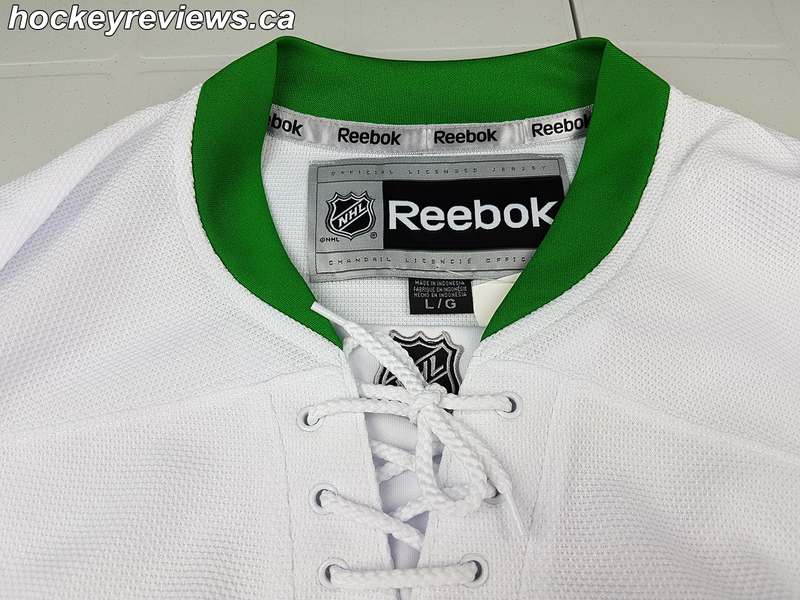 The quality of stitching is considerably worse than the Made in Canada Authentic jerseys but is still an improvement over the previous iterations which were just glued on.